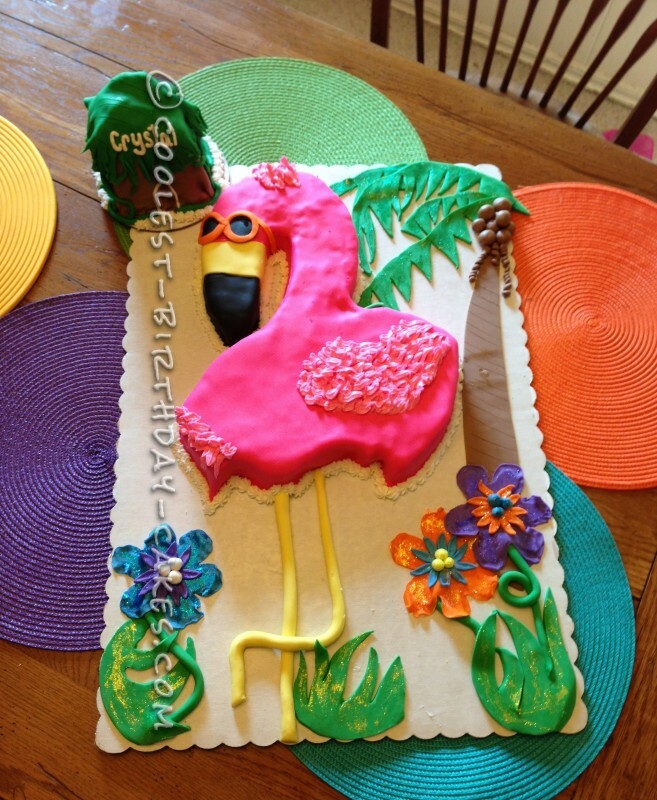 I started by hand sculpting the flamingo from a large sheet cake, after letting it partially thaw. It cuts the straightest that way. 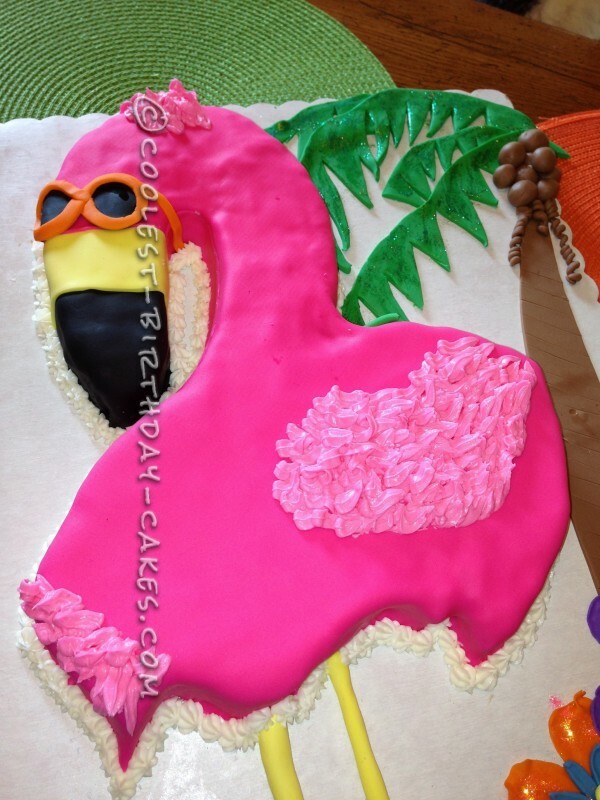 After a coat of butter cream, pink satin ice fondant. 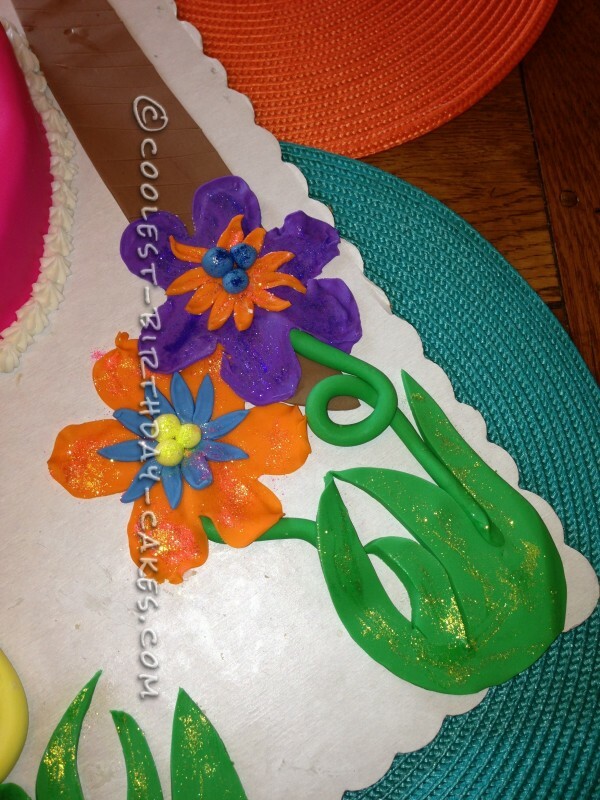 Flowers were cut out of different sizes of cookie cutters and then shaped on the thin foam square to soften the edges. 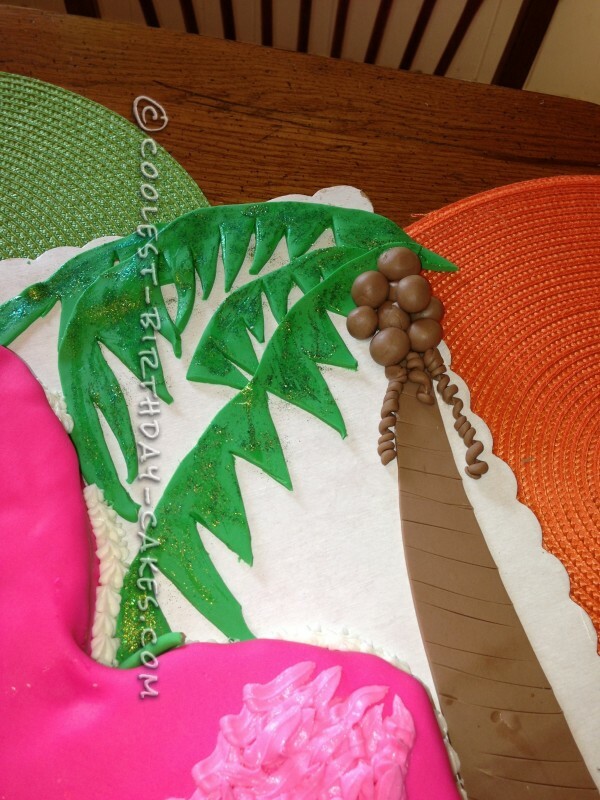 The trimmed off pieces of cake we’re used to form the base of the tiki hut.